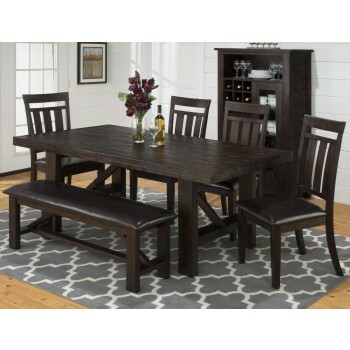 5PC Includes: 705-49 Table and 4 705-410KD Side Chairs Jofran is proud to present our Kona Grove Collection. Reminiscent of tropical getaways and breezy lanais, the warm finish of this collection offers a unique style element to your living space. Jofran is proud to present our Kona Grove Collection. Reminiscent of tropical getaways and breezy lanais, the warm finish of this collection offers a unique style element to your living space.